Promotional coupons can drive impulse consumer purchases. This can help move more product faster. 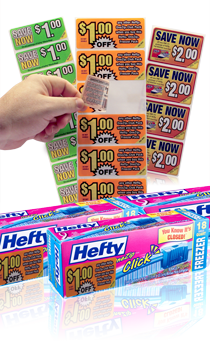 On-pack label coupons make it easy to create cross- product promotions. End users can peal off a coupon for one product and use it for another.